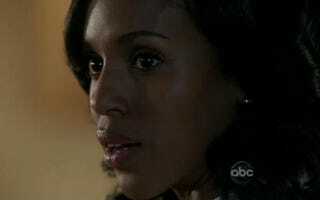 Is Olivia Pope the New Sally Hemings? In a piece for Clutch magazine, Stacia L. Brown takes issue with the way race and gender are playing out on ABC's Scandal. As soapy and sensationalistic as this show is, it’s hard for me to entirely lose myself in it. I’m too distracted by this idea that, for all her gutsy unflappable-ness, and for all her intimidating, unflinching command in the face of an employee or opponent, the married president happens to be her weakness. Even if it weren’t too convenient a plot point, revealed far too early on, it’d still stick in my craw. One of the reasons why is that I can’t seem to view this show through an un-racialized lens. This show is giving me too many shades of Sally Hemings. I can’t. It was especially difficult for me to turn off my Mammy-Jezebel-Sapphire-detector during last night’s episode, as Olivia’s and Fitz’s back story developed. This intense need the story-line has to convince us that these two are star-crossed and that their coupling is Something Real reminds me of master-slave-relationship apologists who either believe that the slave is in a position to“seduce” the master or that their relationship can be rooted in healthy love.